100% steel craft die from Memory Box. For use on cardstock, felt, and fabric. Cut, stencil, emboss, create. Use in most leading die cut systems. Memory Box craft die featuring a butterfly. 1.7 x 2.3, 1.8 x 2.4 inches. 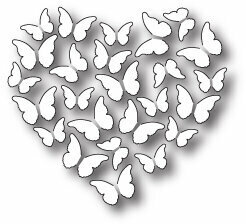 Valentine themed Memory Box craft die featuring a butterfly surrounded by a heart shaped flowery frame. Craft die from Memory Box featuring a butterfly. 2.8 x 2 inches. Memory Box craft die featuring a butterfly. 3.3 x 4.7 inches. Craft die from Memory Box featuring a trio of butterflies. 2.7 x 5.5 inches. 6.9 x 14 centimeters. 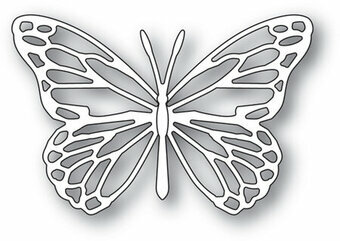 Craft die from Memory Box featuring an elegant butterfly. Use of fusible interfacing paper is suggested for felt projects. 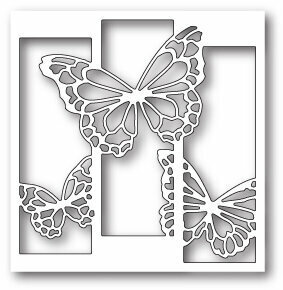 Craft die from Memory Box featuring a butterfly in an rectangular frame. Craft die from Memory Box featuring a butterfly. For use on cardstock, felt, and fabric. Cut, stencil, emboss, create. Use in most leading die cut systems. 2.5 x 1.7, 0.4 x 1.7 inches body. 100% steel craft die from Memory Box. For use on cardstock, felt, and fabric. Cut, stencil, emboss, create. Use in most leading die cut systems. 3.8 x 5.3 inches, 9.7 x 13.5 centimeters. 100% steel craft die from Memory Box. For use on cardstock, felt, and fabric. Cut, stencil, emboss, create. Use in most leading die cut systems. 2.9" x 2.1". 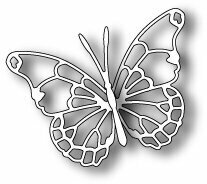 Memory Box craft die featuring a delicate butterfly. Memory Box craft die featuring a butterfly. 3.3 x 2, 0.4 x 1.8 inches body. 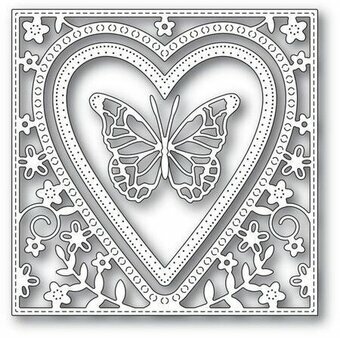 100% steel craft die from Memory Box featuring a Butterfly Heart. For use on cardstock, felt, and fabric. Two part die. Cut, stencil, emboss, create. Use in most leading die cut systems. 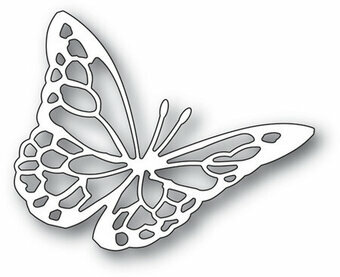 Craft die from Memory Box featuring a butterfly outline. 3.3" x 2.3". 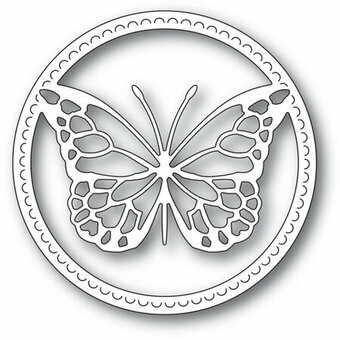 Craft die from Memory Box featuring a butterfly in an oval frame. Craft die from Memory Box featuring pretty butterflies. Craft die from Memory Box featuring a corner with butterfly and flowers. 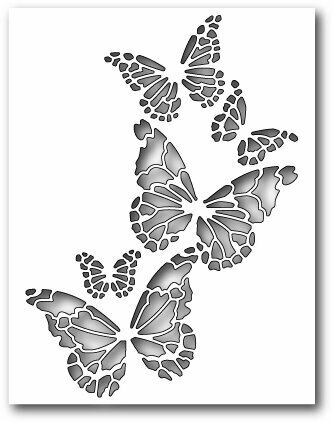 Craft die from Memory Box featuring a background or frame of butterflies. 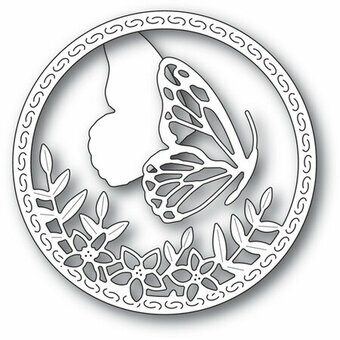 Corner craft die featuring a butterflies and leaves. 100% steel craft die for use on cardstock, felt, and fabric. Use in most leading die cut systems. 2.8 x 4.9 inches. 7.2 x 12.5 centimeters. Craft die from Memory Box featuring butterflies. 3.3 x 3.4 inches. 8.4 x 8.6 centimeters. 100% steel craft die from Memory Box. For use on cardstock, felt, and fabric. Cut, stencil, emboss, create. Use in most leading die cut systems. 1.7" x 1.1", 0.4" x 1.1" body (4.4 x 2.8, 1.1 x 2.8 centimeters body). Works with the Rhone Butterfly Wings die 98869. Craft die from Memory Box featuring lavender flowers and a butterfly. Craft die from Memory Box featuring butterflies and a flower. 6 dies included. 100% steel craft die from Memory Box. For use on cardstock, felt, and fabric. Cut, stencil, emboss, create. Use in most leading die cut systems. 2.6" x 1.8", 0.4" x 1.7" body (6.6 x 4.6, 1.1 x 4.4 centimeters body). 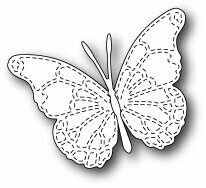 Works with the Willoughby Butterfly Wings die 98901. Craft die from Memory Box featuring flowers and a butterfly. For use on cardstock, felt, and fabric. Cut, stencil, emboss, create. Use in most leading die cut systems. 5.6 x 3 inches. Memory Box craft die featuring butterflies. 2 x 5.4 inches. Memory Box craft die featuring a Butterfly Collage. 3.7 x 3.3, 0.4 x 2.1 inches body.